The Academy of Country Music hosted the 12th annual ACM Honors ceremony on Aug. 22 at Nashville’s Ryman Auditorium to recognize the special honorees and off-camera category winners from the 53rd ACM Awards. Hosted by Lauren Alaina and Jon Pardi, the ceremony paid tribute to a number of artists for their specific achievements, including Alan Jackson, Dierks Bentley, Sam Hunt, Darius Rucker, Matraca Berg, Mickey and Chris Christensen, Eddie Miller, Rhett Akins, Rob Potts, Matraca Berg and Norro Wilson. 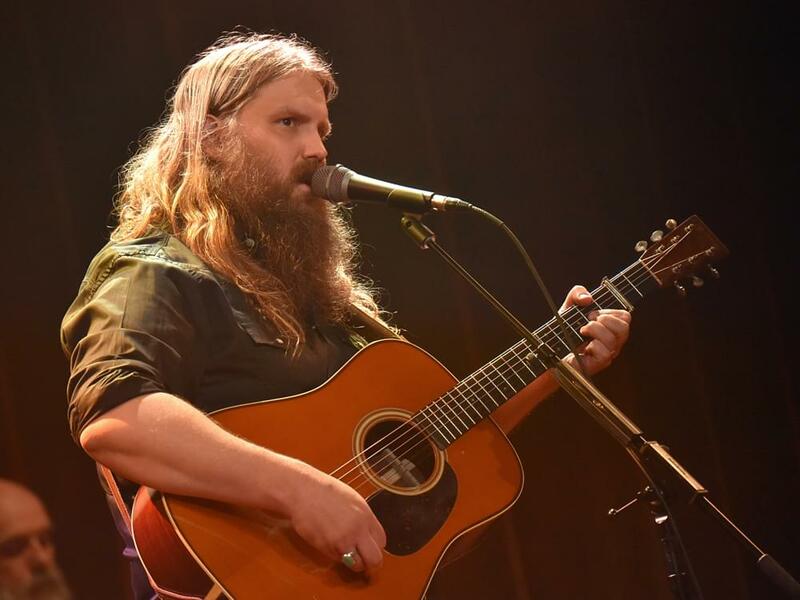 Performers included Chris Stapleton, Lauren Alaina, Kassi Ashton, Cam, Deana Carter, Morgan Evans, Dustin Lynch, Ashley McBryde, Old Crow Medicine Show, Jon Pardi, Dallas Davidson and Ben Hayslip. Presenters included Kip Moore, Ricky Skaggs, Jordan Davis, Lindsay Ell, Lori McKenna, Bobby Bones and Storme Warren. Check out some of the highlights and our photo gallery below, courtesy of photographer Tammie Arroyo, AFF-USA.com. Joe Diffie performed “The Grand Tour” in tribute to the late Norro Wilson. Kassi Ashton performed “Body Like a Back Road” in tribute to Sam Hunt before Bobby Bones presented Sam with his award. Cam performed Buck Owens’ “Cryin’ Time” in tribute to Mickey and Chris Christensen and Eddie Miller. Morgan Evans performed his song, “Things We Drink To” in tribute to Rob Potts. Old Crow Medicine Show performed “Wagon Wheel” in tribute to Darius Rucker. Dallas Davidson, Ben Hayslip and Dustin Lynch performed a medley of “Huntin’, Fishin’ and Lovin’ Every Day,” “Small Town Boy” and “I Lived It” in tribute to Rhett Akins. Jon Pardi performed “I Hold On” in tribute to Dierks Bentley. Lauren Alaina, Deana Carter and Ashley McBryde performed a medley of “You & Tequila,” “Wrong Side of Memphis” and “Strawberry Wine” in tribute to Matraca Berg. Chris Stapleton ended the night with a performance of “Here in the Real World” in tribute to Alan Jackson. Jordan Davis presented the ACM Industry Awards. Lindsay Ell presented the ACM Studio Recording Awards.